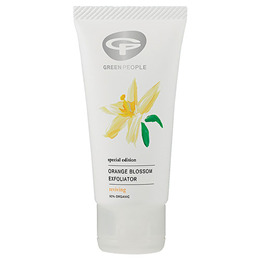 This skin-purifying facial exfoliator gently removes dull, dry and dead skin to instantly revive the complexion and promote the absorption of moisturisers. Enriched with Orange Blossom, Cypress, Bergamot & Black Pepper, it buffs away dead, dull and dry skin to reveal a smoother complexion. Aqua, Citrus Aurantium Dulcis Flower Water*, Helianthus Annuus Seed Oil*, Bambusa Arundinacea Stem Extract, Cetearyl Alcohol, Cetearyl Glucoside, Butyrospermum Parkii Butter*^, Glyceryl Stearate, Bentonite, Aloe Barbadensis Leaf Juice Powder*, Punica Granatum Seed Oil*, Vaccinium Macrocarpon Seed Oil*, Rosa Moschata Seed Oil*, Rosmarinus Officinalis Leaf Extract*, Hibiscus Sabdariffa Flower Extract*, Ananas Sativus Fruit Extract, Aroma [Citrus Aurantium Amara Flower Oil*, Citrus Grandis Peel Oil*, Citrus Limon Peel Oil*, Piper Nigrum Fruit Oil*, Origanum Majorana Herb Oil*, Lavandula Hybrida Herb Oil*, Citrus Nobilis Peel Oil*, Cupressus Sempervirens Oil*, Citrus Aurantium Bergamia Fruit Oil*^, Citrus Aurantium Dulcis Peel Oil*, Pelargonium Graveolens Oil*^, Cananga Odorata Flower Oil*^, Leptospermum Scoparium Branch/Leaf Oil], Lecithin*, Sodium Citrate, Sclerotium Gum, Lauryl Glucoside, Sodium Lauryl Glucose Carboxylate, Sodium Stearoyl Glutamate, Glycerin, Benzyl Alcohol, Salicylic Acid, Sorbic Acid, Benzyl Benzoate*, Benzyl Salicylate*, Citral*, Citronellol*, Farnesol*, Geraniol*, Limonene*, Linalool*. Apply a pea sized amount to a dry or damp face, neck and décolletage. Work in small circular motions working upwards. Rinse thoroughly with lukewarm water, use twice a week. 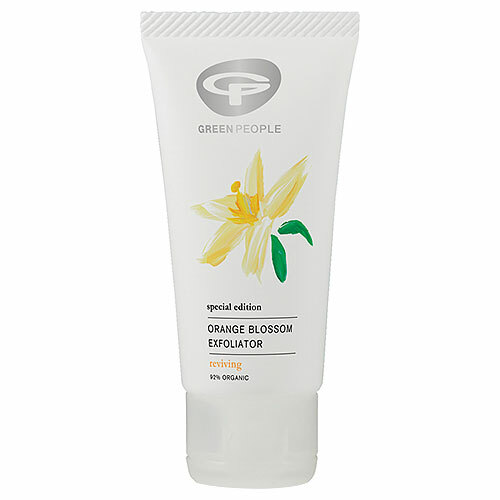 Below are reviews of Green People Orange Blossom Exfoliator - 50ml by bodykind customers. If you have tried this product we'd love to hear what you think so please leave a review. This skin-purifying facial exfoliator gently removes dull, dry and dead skin to instantly revive the complexion and promote the absorption of moisturisers.